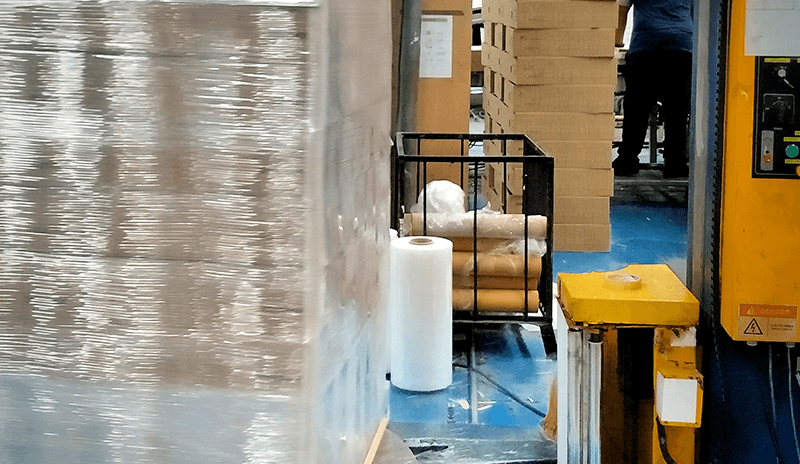 As the name suggests, machine stretch film or machine stretch wrap is designed to be applied with a stretch wrap machine. 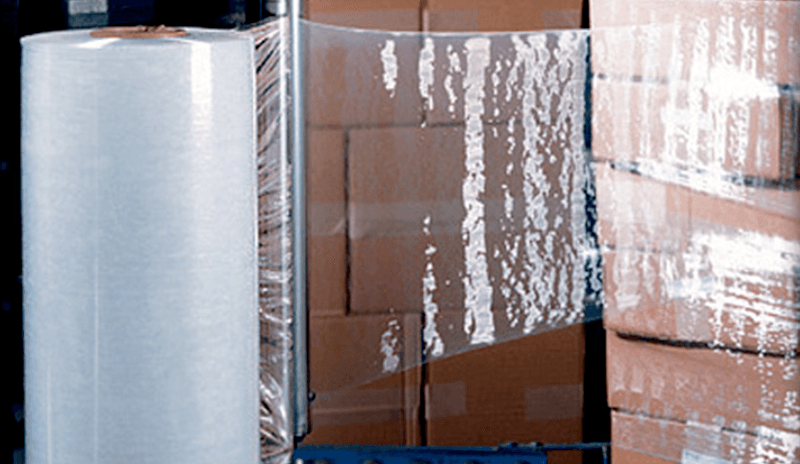 Machine stretch film is the ideal solution for large to medium scale operations intending to wrap products efficiently and quickly. Machine stretch film comes in a variety of colors, gauges, and can be used in a seemingly endless number of applications. AAA Polymer offers a large inventory of machine stretch films, including blown machine stretch film and cast machine stretch films. Continue reading to learn more about our machine stretch films and machine stretch wraps. Although machine stretch films are offered in a variety of gauges, colors, and applications, the main variable is whether it's blown machine stretch film or cast film. Blown stretch film is made by through a process called blown extrusion - where the film is gradually cooled by the surrounding air. In contrast, cast machine stretch film or cast stretch wrap is formed by feeding a sheet of heated resin along a rolling path with chilled rollers. The cooling of the rollers causes the film to solidify, and it's then made into large rolls. Blown film is actually tougher and has less of a chance of puncturing than cast film. This is caused by the slower cooling process that allows the blown film molecules to spread out instead of aligning as they do in cast film. Cast machine cast wrap has a glossier, clearer finish, which allows different scanning technologies to be used. Also, cast unwinds quieter and is easier to stretch than blown film. 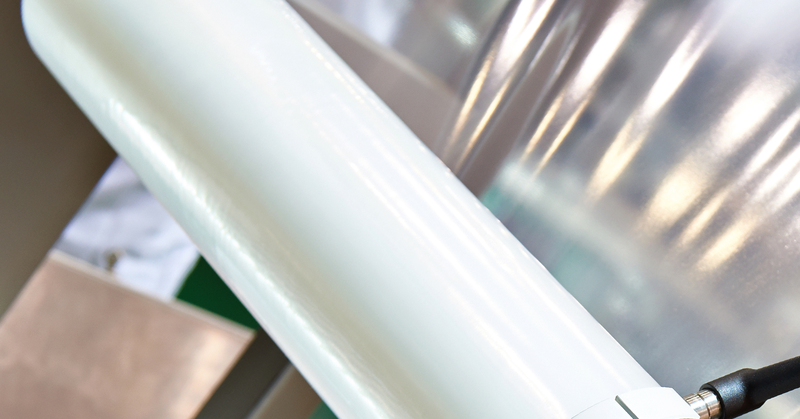 At AAA Polymer, we offer both blown machine stretch film and cast machine stretch film with two-sided cling. However, we also offer cast machine stretch film with one-sided cling. Offered in two-sided cling, but you can order one-sided cling for specific needs. Noisier when releasing from roll. Visit AAA Polymer's stretch film page to learn more about how blown and cast films are created. Select Cast is our best-selling, general purpose, cast co-extruded stretch film. Versatile and competitively priced, this stretch film's broad specifications provide excellent performance with most A & B loads. Boasting up to 250% pre-stretch, Select Cast machine stretch film delivers high levels of strength, puncture resistance, and cling. A remarkably quiet unwind and crystal clear optics are some of the reasons Select Cast is the top choice film for the most diverse range of applications. Does your machine need a stretch film size not listed? AAA Polymer can help! Contact us today and allow us to help you choose the best film for your needs. How Do I Know Which Machine Stretch Film to Use? You should always choose a machine stretch film or machine stretch wrap based on your unique application needs. Simply put, different sized widths of film and thicknesses are needed for different applications. Turntable Stretch Wrap Machine is one of the most common types of machine. AAA Polymer provides stretch film for semi-automatic machines and fully automatic machines. Straddle Stretch Wrap Machines feature a rotating arm to move the load around. These types of machines are most commonly used for fragile, light, unstable loads, which may be too heavy for turntable machines. Horizontal Stretch Wrap Machines utilize a carriage of rotating film that moves around the load when it passes through the horizontal ring. Most horizontal machines are used for fully automatic operations. Do you have issues with product damage or are your products being punctured in transport? If so, those are both signs that you should reevaluate the type of film you are using! The solutions experts at AAA Polymer will go above and beyond to help you find the best film for your needs. We bring decades of experience solving our customer's problems, saving them money, and delivering the best machine stretch film solution. Simply put, we will help get the most from every roll and buck! Cont﻿﻿﻿a﻿﻿﻿ct AAA Polymer today to order machine stretch wrap or for a free needs assessment.